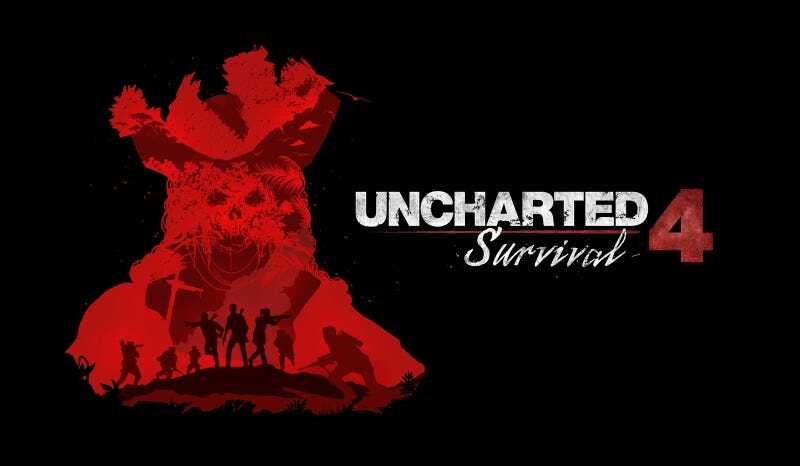 Keeping in step with the multiplayer roadmap released back in the spring, Uncharted 4's co-op multiplayer survival mode is coming in mid-December, pitting Nathan Drake and friends against 50 waves of enemies from merc fodder to flaming pirates. Visitors to next week’s PlayStation Experience event will be the first to try their hands at Uncharted 4: Survival, in which up to three players attempt to outlive a series of increasingly difficult foes. They’ll work together to complete objectives and up their arsenal, bracing themselves for a boss battle every ten levels. Completing objectives earns in-game cash that can be used to obtain powerful new weapons. The PlayStation Blog announcement post says players of Uncharted 2 and 3's co-op arena modes should feel right at home. Uncharted 4: Survival is a whole new branch of the Uncharted 4 experience, with its own progression system. Look for it in the middle of next month, sometime before fall turns to winter.